Hello Aspirants of TNPSC, everyone is now aware that the group I notification have been released. Many of the aspirants have waited a long for this day to prove their ability. Candidates who wish to endeavor their future career in Tamil Nadu Group Posts should cross this Group I Examination process. This examination process includes the three tier of selection. Preliminary Examination, Main Examination and Interview are the stages of selection process. Contender who walk in the road of Group I recruitment have to cross these barriers. Candidates of each of the selection process have to pass to attempt the second level of selection. Check the below for the glimpses of examination pattern and syllabus. Tamil Nadu PSC Group I Exam Previous 10 years Questions Paper Download in Pdf. Don’t forget to click on the link to download the previous 10 year question paper in pdf. Tamil Nadu PSC Group I Exam Previous 10 years Questions Paper Download in Pdf. candidates of Group I are already in the preparation to face the examination. Registration is a basic thing to participate if you satisfy the criteria. To pass in the examination, candidate have to put more hard work and learn things with shortcuts. Prelims is the basic screening test of the examination, all the registered candidates have to face this round. One good news is all the questions in the prelims examination is of Objective type and multiple choice of answers are provided for each questions. TNPSC also informed the minimum cut off marks to get selected in the round of process. TNPSC also included some of the criteria in the registration process too. Prelims examination will be held for the duration of 3 hours in which the maximum marks of the questions is of 300 marks. Main examination enclose the content of General Studies in Paper I , II, III with each of 300 marks. The final round of Interview and Document Verification for 120 marks. Tamil Nadu Public Service Commission have detailed the details of the examination in the aspects of syllabus, previous paper and examination pattern in their official website itself. But we are here to explain you the every aspects of syllabus for your easy understanding. Cut off Marks are set for the category in Prelims and Main examination as below. The General Studies questions of the prelims is in degree standard with the sub topics of physics, chemistry, botany and zoology. Indian Polity takes a major part in prelims with sub topics on Indian Economy, Indian National movement. History and culture of India, Current events on Political science, geography, economics, science is the part of content. The aptitude and mental ability tests are also play a role in the preparation for the Prelims examination. FROM Winmeen.com, get the latest updates of TNPSC with all the current affairs up to date. 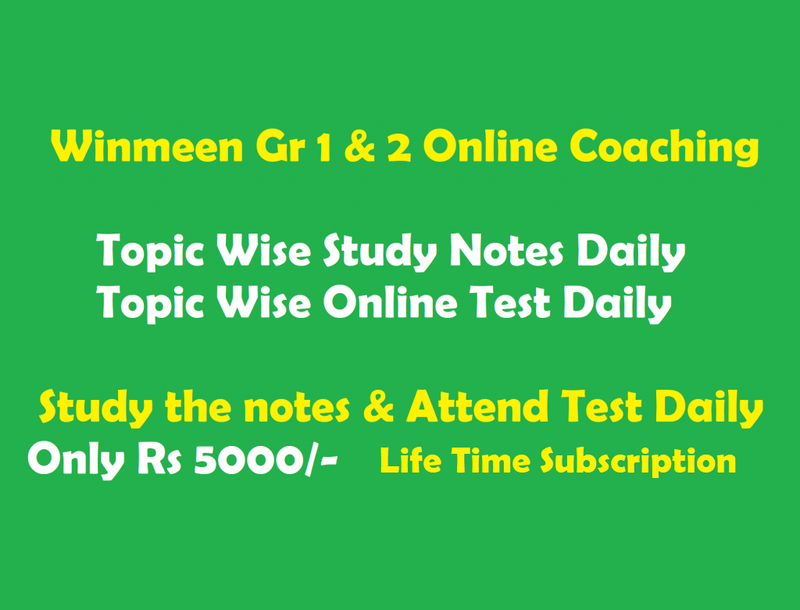 Check the syllabus, notification in related links of Winmeen.com. Very useful sir..Thank u sir..kindly upload previous years jailor exam questions.. Thank you sir . Useful for the study. I need TNPSC group 1 main examination question and answer. preliminary examination aptitude solvation with formulas. more than useful for each and everything thank you for all.